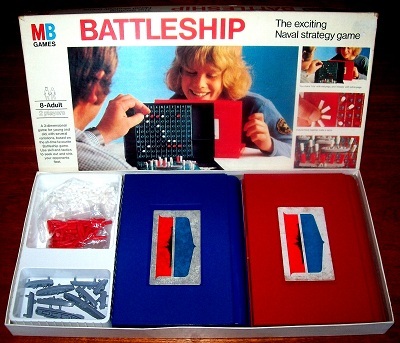 'BATTLESHIP' GAME: A three-dimensional game for young and old, with several variations, based on the all-time favourite battleship game. Use skill and tactics to seek out and sink your opponent's fleet. This game is complete and in very good condition.